SPUR – SOCIETY FOR PEACE, UNITY AND HUMAN RIGHTS INC. SPUR – was formed in Melbourne in 1994 when the Tamil tiger terrorists were massacring Sri Lankan civilians as well as political and civic leaders. The representatives of Sri Lankan community gathered at a meeting felt the critical need to have a forum to express their views and also to plan to help mother lanka in her rehabilitation efforts. 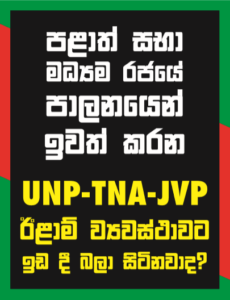 Another very important connected issue was to uphold the unitary of Sri Lanka while registering and opposing the views on the moves to divide Sri Lanka on ethnic basis. SPUR has made representations to the Sri Lankan and the Australian government as well as other national governments and international originations on image of Sri Lanka, misrepresentation of facts and obvious lies propagated by the LTTE fronts. To date, SPUR has been spearheading the activities on above lines with the help and ready assistance from the Victorian public and sister organizations in Australia as well in Sri Lanka. The SPUR also played a leading role in encouraging the forming of similar organizations in other states of Australia and also was instrumental in the formation of Sri Lankan international organizations. The SPUR is a founding member of the GLOBAL SRI LANAKA FORUM based in Italy.